Founded in 1964, Aerial Data Service has come a long way from its humble origins as a mom-and-pop outfit to the technological trendsetter it is today. ADS relies upon its years of experience to produce aerial photos, digital maps, and orthophotos of unmatched clarity and accuracy. No one else provides the technology, service, and results like we do. Up close . . . and with vivid detail. In 1984, Regina M. Carter bought the company from the original owner, Jack Beindorf, and began expanding its services to include the most recent advances in the science of photogrammetry. Carter's commitment to research and development continues to enable ADS to boldly navigate the ever-evolving world of geospatial data collection. ADS provides precision aerial photography, GIS, LiDAR scanning, and photogrammetric mapping by employing the latest technology and offering streamlined, personalized service. There's more to Aerial Data Service than just cutting-edge technological resources. Thanks to our professional, experienced staff - including certified photogrammetrists, a licensed pilot, and a licensed professional surveyor - ADS is able to take on a wide scope of projects. 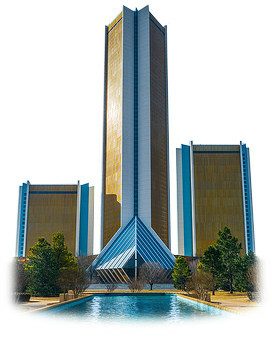 With our prime central locations in Tulsa, Oklahoma, our crew is only hours away from any city in the Continental U.S.
Aerial Data Service, Inc. recognizes our responsibility to develop electronic and information technology (EIT) products and services that are accessible and usable by all people, including those with disabilities and special needs. We are committed to making our products and services compliant with the accessibility standards of Section 508 (Electronic and Information Technology Accessibility Standards, 36 C.F.R. § 1194). To meet this commitment, we will comply with the requirements of Section 508 of the Rehabilitation Act to ensure individuals with disabilities have access to and use of information and data that is comparable to that provided to the public who are not individuals with disabilities, unless an undue burden would be imposed on us. If you use assistive technology and the format of any material on our web site interferes with your ability to access the information, please contact us for assistance. For more information on Aerial Data Service’s Section 508 Compliance, Click Here.